As the opening for Defected’s 2018 season at Eden approaches, Sundays in San Antonio are shaping up. 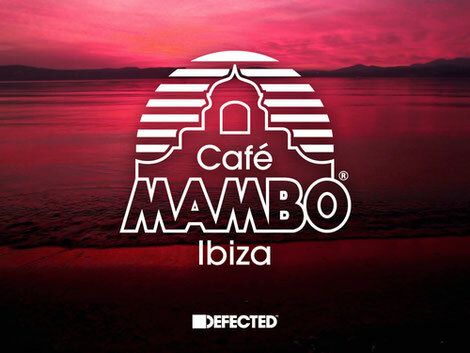 For the full 21-date run, Defected will be teaming up with Café Mambo Ibiza to host pre-parties every Sunday from 9pm, before heading to Eden with CamelPhat, MK, Derrick Carter, Dennis Ferrer, Franky Rizardo, Monki, Claptone, Riva Starr, Melé, Danny Howard, Purple Disco Machine and many more. The opening party will be on Sunday 20 May, with Sam Divine and Simon Dunmore warming up at Mambo and Amine Edge & DANCE, DJ Haus, Low Steppa and Jacky joining them later at the newly updated club. Every week two or more headliners from the Eden bill will play Mambo, with the first pre-party to be live streamed via Defected and Mambo’s Facebook and YouTube channels. Under the slogan ‘In Our House We Are All Equal’, the Café Mambo and Eden Defected parties will run through to 7 October. Possibly one of the best-loved spots on San Antonio’s shoreline, Café Mambo sits at the heart of the sunset strip. With a state-of-the-art HD sound system, contemporary food, extensive cocktail menu, an Ibizan spirit fusing old and new, and one of the most memorable sunset views in the world, this is what makes Café Mambo. Following Defected’s inaugural season in 2017, Eden has been tweaked to further improve the look and feel of the club. The exterior is currently being repainted to gleaming white with silver domes to echo Ibiza’s traditional architecture and inside, the DJ booth has been lowered to dancefloor level, enhancing the connection between Defected’s artists and the clubbers.